People often find a massage relieves stress, relaxes muscles and improves posture and circulation. This can result in a better nights sleep, more energy, improved concentration and less anxiety. Treat yourself or give a massage to a loved one as a gift! Is there anything better than a scalp massage to relax and relieve tension? 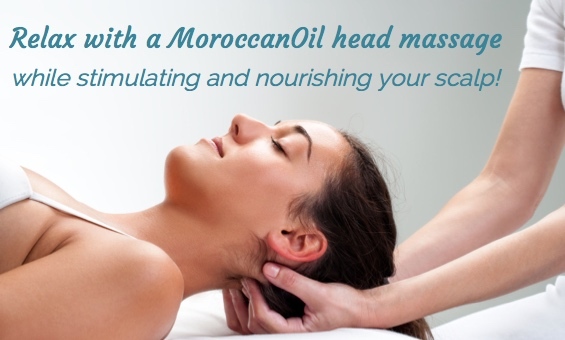 Enjoy a MoroccanOil head massage with Bronwyn, and you’ll also have the benefits of a fabulous scalp treatment! Make an appointment for a head massage before your cut or blow wave, and relax as your scalp and hair benefit from the nourishing properties of MoroccanOil.